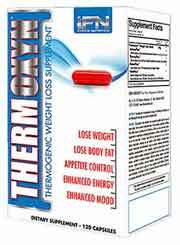 Thermoxyn is a thermogenic weight loss supplement produced in California (USA) by iForce Nutrition. The company markets a number of other health and fitness products and shows a distinct bias towards users who belong to the bodybuilding community or are engaged in other athletic pursuits. The iForce website does not provide a lot of information about Thermoxyn, but the basic premise appears to be using the product will help the user “lose weight and burn fat faster than ever before”. 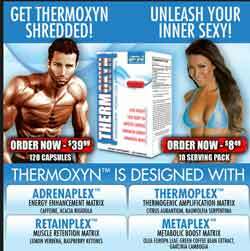 What is Thermoxyn and how does it Work? 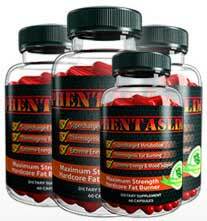 Looking at the above promises Thermoxyn appears to be a jack of all trades, but the name suggests the capsules are primarily designed to work as thermogenic fat burners. Thermogenic fat burners cause things to heat up a little inside the body and increase fat burning potential. Once triggered the fat burning process releases calories that were stored as body fat, making them available for use, thereby providing an energy boost. Each (2 capsule) serving provides 1.4g of the Thermoxyn Weight Loss [proprietary] Blend. As is normally the case with proprietary blends, no inclusion rates are provided for individual components, and in this case matters are more confusing than ever because the blend consists of several other proprietary blends. Caffeine Anhydrous: Caffeine is famous for its stimulatory abilities, but apart from improving alertness it also offers appetite suppression and boosts the metabolism. Acacia Rigidula Extract (Stems and leaves): A plant extract that allegedly provides more than 40 active compounds, some of which are believed to boost the metabolism and assist lipolysis, but further study is highly desireable. Citrus Aurantium Extract (Fruit Peel): A species of citrus fruit that provides synephrine—a stimulant that can boost the metabolism and encourage thermogenic fat burning. Rauwolfia Serpentina Extract (Leaves, Stem, and Root): A plant-based ingredient that can be useful for treating high blood pressure, but is not generally associated with weight loss. Lemon Verbena Extract (10% Verbascoside)(Leaves): Although it is unlikely to assist weight loss, lemon verbena extract is still a potentially good ingredient because it may help to protect the muscles from training-related tissue damage. Raspberry Ketones: A superfruit ingredient with an outstanding reputation for providing weight loss. Raspberry ketones can be very useful for controlling the appetite and provide fat burning by boosting adiponectin levels. Garcinia Cambogia Extract (50%)(Leaves, Stem, and Root): Another popular superfruit ingredient, garcinia cambogia provides appetite suppression and is also capable of preventing excess carbohydrates (provided by food) from being converted into fatty acids and being stored in the adipose tissues. Green Coffee Bean Extract (50%)(Bean): Unroasted coffee beans that remain rich in chlorogenic acid (destroyed by the roasting process). Chlorogenic acid assists weight loss by boosting the metabolism and triggering thermogenic fat burning. Olea Europae Leaf Extract (50%)(Leaves): An ingredient that can be useful for treating diabetes, due to its ability to assist glucose metabolism, but is unlikely to assist weight loss. 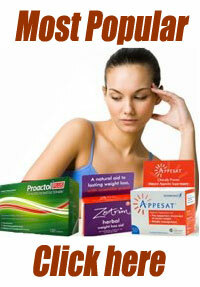 One capsule should be taken each morning before breakfast, followed by a second capsule prior to eating lunch. If no tolerance issues are evident the dosage can be doubled from day three onwards (2 capsules in the morning + 2 capsules before lunch). No more than 2 capsules should be taken in any four hour period and capsules should never be consumed within 4 hours of going to bed. Customer feedback is fair to middling. Although the formulation contains only natural ingredients it is still impossible to entirely rule out side effects because different people respond to different substances in different ways. As a matter of course, pregnant or nursing mothers should never consume any form of dietary supplement unless its use has been approved by their doctor. The same advice holds true for anyone who is taking medication or who has any health issues or concerns. A bottle of 60 capsules costs $43.99 when purchased directly from the manufacturer’s online store. Thermoxyn can also be purchased via a number of other online sources including eVitamins and Amazon. The use of the proprietary blend negates this product for us. There is no way of knowing how much of ingredient is present.